SIG’s P238 is a small, unique firearm, built for concealment. In many ways, it takes after its papa, the model 1911, but it is a standalone firearm with many merits. Released in 2009, it is still being manufactured today by SIG Sauer. Barrel length – 2.7 inches. Trigger pull – single action, 7.5 lbs. 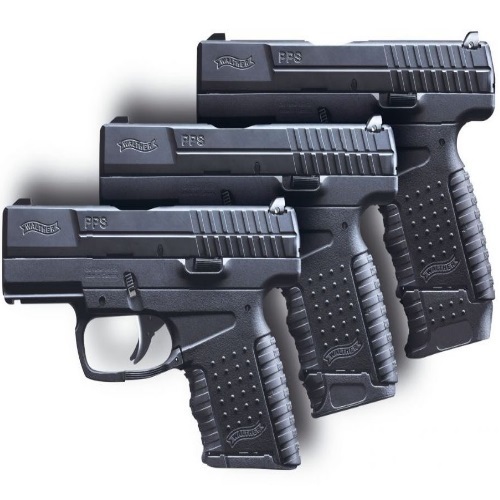 Small and smart, the P238 retains all of the attributes of the full-sized SIG handguns. Accurate, dependable, and highly concealable, this gun’s beavertail frame is made of hard anodized alloy, and the slide is made of stainless steel with a nitron finish. This model’s grips are rosewood, which offer a tight connection when firing. SIGlite three-dot night sights are also included, and they do a great job. This thing really shoots like a mini-1911, and that means that it has a nice clean trigger action. The grip is very good, though it won’t be as good for those of you with larger hands. That is just what you get with it, and it is what you get with any micro-compact model, I’d think. If you are experiencing issues with the grip, but are still interested in keeping the P238, getting a sleeve or grip enhancer of some other kind can be of great help. For some people, it simply won’t fly. You shouldn’t need to compromise your tight grip. There are enough brands and models out there, and you will definitely be able to find that which you seek – a gun that fits you perfectly. You deserve it. The standard P238 magazine holds six rounds, but an extended 7-round magazine is available from SIG. 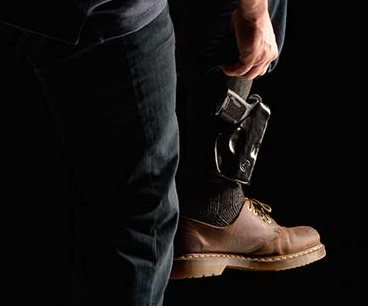 When it comes to small, concealable arms, a single round can make a big difference. Firepower means a lot. This stays true no matter what the firearm in question is, but it means even more when we’re talking about concealable handguns, meant for a quick draw and an even quicker action. The P238’s safety differs from the classic 1911. With the standard 1911, once the thumb safety is engaged, it is not possible to rack the slide. Everything is locked up. With the P238, though, you can rack the slide even after the safety is on. 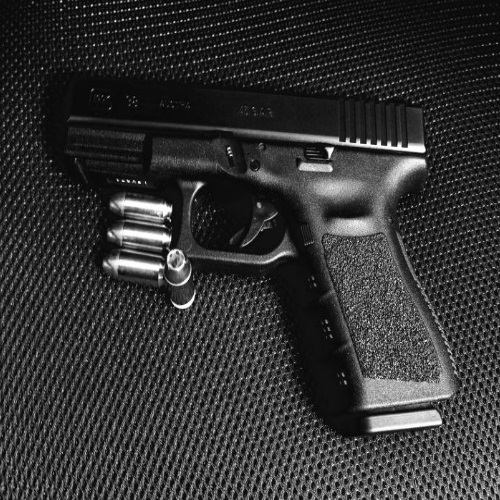 This enables you to keep a loaded gun in your pocket, ready to fire at the drop of the safety. 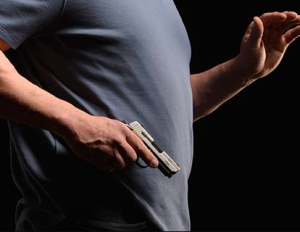 When you are talking about a pocket gun – and most would consider the P238 to be a pocket gun, regardless of how they actually choose to carry it – safety is more of an issue. Lastly, the sights. You normally don’t see sights of this caliber on micro-compact guns such as this. One of the more recurring criticisms or shortcomings of pocket guns is the fact their sights are not up to par. Now, personally, I get it. With a pocket gun, which is meant to be used as a 1-2-3 draw-point-shoot kind of weapon, this is usually not an issue. It is not a long-distance gun by any means, so you can argue that the sights are negligible. Nevertheless, the P238’s SIGlite tritium sights are day and night compatible, and they produce a nice-looking glow which is not overbearing. It is just the right amount of glow. When purchased new, the P238 comes with a hardened SIG OWB holster. Not the best holster there is, but it will probably fit for range use or bug-out-bag use. For every day carry, I recommend you get a different holster. Of course, it also depends on what kind of carrying you plan on practicing – pocket, hip, small-of-back, etc. As for accessories, it is – as always – a judgement call. Obviously, you shouldn’t burden this small gun with heavy accessories. That would be completely counter-productive. But, on the other hand, there are some accessories which serve a specific and important purpose. Examples: mini tactical flashlight, mini laser sight, and a grip sleeve. Remember: accessories are their to facilitate better and more comfortable shooting. That is a firearm accessory’s primary function. If it doesn’t help with your shooting, you don’t really need it that bad. Accessories are also there to help form a closer and more personal relationship between the firearm and its operator, which is another crucial point when it comes to trusting your firearm. 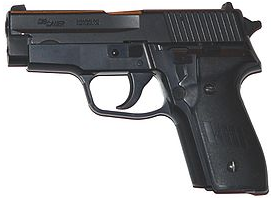 The manufacturer suggested retail price of the P238 is between $706 – $1013, depending on the model. SIGs are known for being more expensive than others in their weight, size, and caliber class. This one is no exception. The P238’s price may be a deal-breaker for some, but SIG is synonymous with accuracy and dependability. SIG Sauer handguns are famous for a reason, and you need to be able to pay the price of high quality firearms. Cheaper alternatives are always going to exist. Thing is, they are not a SIG. That makes all the difference. 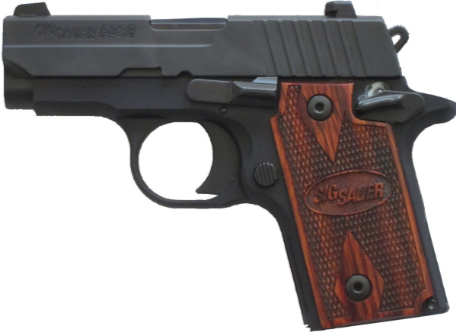 In July of 2009, SIG recalled certain P238 models – not all of them – for what they designated a “mandatory safety upgrade”. In other words, a recall. This was done due to the possibility of the gun firing unintentionally. It was discovered certain serial numbers were built with a potentially-defective safety lever, and the company was worried. No such occurrence of unintentional fire was ever reported, but the company decided to go ahead with the upgrade anyway, and nip this safety issue at the bud. A smart call, altogether, although I am sure it hurt them a bit, sales wise. An update (which wasn’t a recall) was also applied to the P238’s standard magazine. Nowadays, the P238 mags are built with a new spring, and they boast better performance numbers, and longer lifespans. Nowadays, all that is left of the original P228 is its military counterpart. The P228 was reviewed by us a while back, and it seems that with the advent of the P229 and the military weapon designated M11-A1, there is little chance we will see proper P228 pistols back on the market anytime soon. Ah, well. You can’t fight progress, right? The P228 is a 9mm, full size handgun, with a DA/SA trigger. 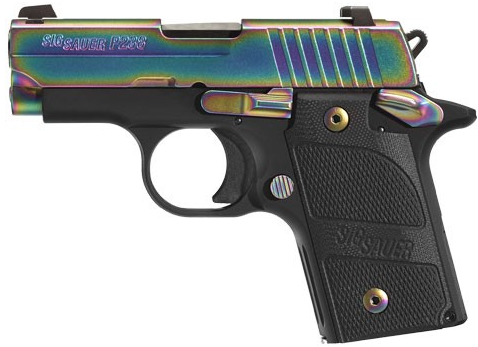 It implements SIG’s traditional 4-point safety, and has SIG’s SIGlite night sights. The P228 was introduced in 1988, and different branches of the military were all over it. The civilian P228 was discontinued in the mid-90’s, but you can still find original P228 handguns for sale in different places. It is quite popular among SIG collectors, since it was always considered to be a good gun. The P228 was still being produced up until the early 2000’s, but now it seems that it will not be coming back. SIG Sauer is known for its quality firearms. From the tiny P238 to the larger full-sized models, the all-metal frame appeals to the aesthetic of many gun owners and Second Amendment enthusiasts. It is not that polymer is no good. It is just that holding a piece of solid metals in your hands feels different. It really does. And this can have significant ramafications. If you are planning on using this gun – or any other gun, for that matter – as your every day carry gun, you need to be able to trust it with your life. Some people just can’t seem to develop that much-needed trust with polymer guns. I can understand that. And regardless, people always love to bash Glock and other polymer guns. It is an unofficial national pastime. What sets SIG apart is their quality and history. SIG Sauer handguns are usually more expensive than others in their weight class, size, and caliber – but those who trust in them will state that they are worth every penny. The .380 ACP’s success as a self defense caliber is still being debated by many people, but I feel there really is no debate. As one Redditor wisely put it: all you need is practice, practice, practice. A head shot at 25 feet has nothing to do with caliber. I wholeheartedly agree. So, to sum up – as a concealable pocket gun, the P238 is a great firearm. It has the right build, and the right capacity for a small, short range, point-and-shoot kind of situation. Is it worth the MSRP? That is a judgement call, but either way you can find it for more reasonable prices at various shows and sales, which are always happening online and offline. Stay safe and stay armed! Thank you for reading our P238 review! Check out our Benelli M2 and M4 features while you’re here at Gunivore!